Spread the product on strips of wood and paper and other supports and place them in the areas to disinfest. In farming, it blocks the ascent of harmful insects when spread in rings around plants. Any soiling can be removed easily using petrol. 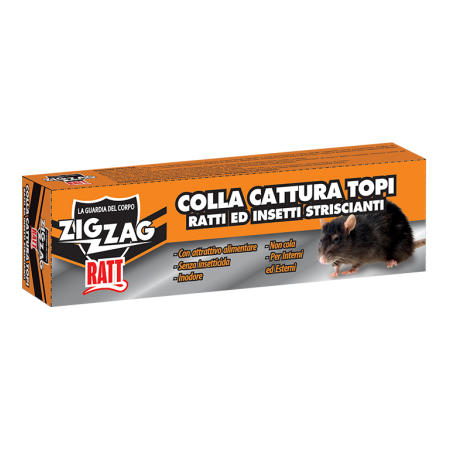 Non-toxic rat poison glue, rapidly applied, for capturing rats, harmful animals and insects (ants, cockroaches, etc.). Non-toxic, non-flammable, colourless, does not drip, supports water and moisture.